The objective of this paper is to present a new type of volumetric CT which uses the cone-beam technique instead of traditional fan-beam technique. The machine is dedicated to the dento-maxillo-facial imaging, particularly for planning in the field of implantology. The main characteristics of the unit are presented with reference to the technical parameters as well as the software performance. Images obtained are reported as various 2D sections of a volume reconstruction. Also, measurements of the geometric accuracy and the radiation dose absorbed by the patient are obtained using specific phantoms. 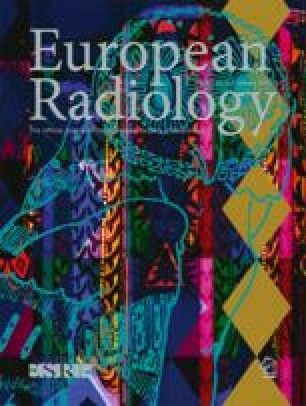 Absorbed dose is compared with that given off by spiral CT. Geometric accuracy, evaluated with reference to various reconstruction modalities and different spatial orientations, is 0.8–1 % for width measurements and 2.2 % for height measurements. Radiation dose absorbed during the scan shows different profiles in central and peripheral axes. As regards the maximum value of the central profile, dose from the new unit is approximately one sixth that of traditional spiral CT. The new system appears to be very promising in dento-maxillo-facial imaging and, due to the good ratio between performance and low cost, together with low radiation dose, very interesting in view of large-scale use of the CT technique in such diagnostic applications.